Michel Côté spent three months building this 7′7″ Nutshell pram designed by Joel White. He launched in on Clapham Lake in Québec Province, Canada, in July 2012. 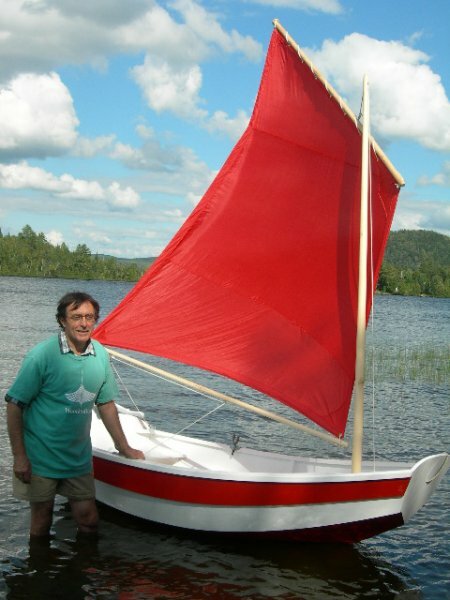 This was his first experience in boat building, and he is plannning to build another boat soon, either a 22′ single Kingfisher Elf or some type of kayak.